3M™ Clean-Trace™ Hygiene Monitoring and Management System: the next big story in hygiene monitoring. ST. PAUL, Minn.--(BUSINESS WIRE)--3M Food Safety today released its enhanced 3M™ Clean-Trace™ Hygiene Monitoring and Management System. The system is the outcome of years of research, testing and customer feedback, all meant to provide food processors greater confidence and peace of mind. Food safety managers need rapid testing to quickly and dependably identify potential contamination in their facilities and make the high-risk decision about whether or not to start production. Typical microbial tests take days to deliver a clear result, delaying food production release and shipments. Mere visual inspection is not enough because microorganisms and many soils are invisible to the naked eye. The new 3M Clean-Trace System offers food safety professionals a complete system of products consisting of a luminometer handheld device, compatible tests and a powerful new software platform, to verify that surfaces have been effectively cleaned in seconds, for better decision making and audit preparedness. 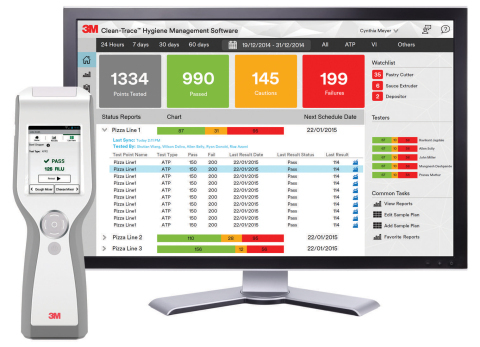 Software – The 3M™ Clean-Trace™ Hygiene Monitoring and Management Software was upgraded for enhanced usability. A new, streamlined dashboard interface presents information where eyes gravitate to, minimizes clicking and allows reports to be quickly generated. Wireless connectivity – The system is now wireless-enabled, capable of transferring data via Wi-Fi or Bluetooth® Technology connections. Information transmits between the handheld luminometer and the software. Industrial design – The 3M™ Clean-Trace™ Luminometer was improved to be more durable, ergonomic and easy to use. When it comes to accuracy, the previous-generation of the 3M Clean-Trace Hygiene Monitoring and Management System was tested by a third-party lab and was shown to produce the most precise, consistent results across time and temperature and between swabs, when compared with several major competing brands. The all-new system builds on the quality of the current system. It represents just one of many innovative solutions from 3M Food Safety that provides food producers trustworthy data and peace of mind when making important product manufacturing and release decisions. Go to 3M.com/foodsafety/Clean-Trace to learn more or follow us on Twitter @3MFoodSafety. 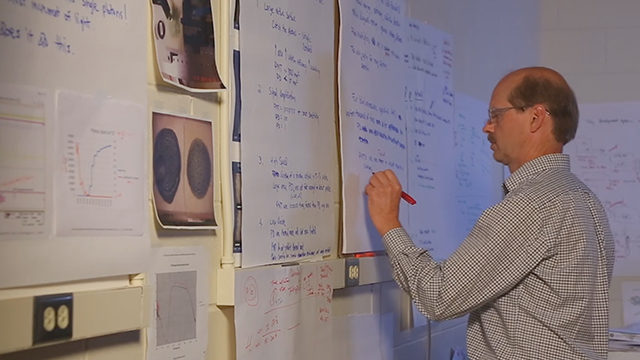 At 3M, we apply science in collaborative ways to improve lives daily. With $30 billion in sales, our 90,000 employees connect with customers all around the world. Learn more about 3M’s creative solutions to the world’s problems at www.3M.com on Twitter @3M or @3MNewsroom.